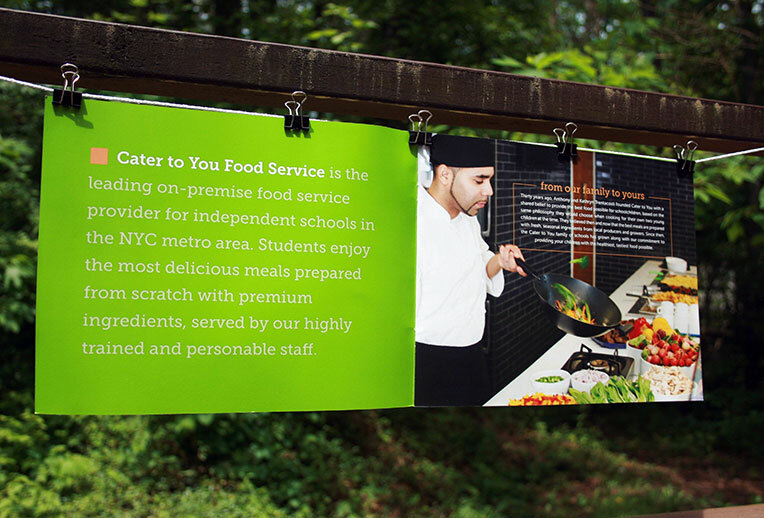 Cater to You is a unique NYC-based catering company specializing in providing private schools with quality, delicious meals sourced from sustainable and local resources. 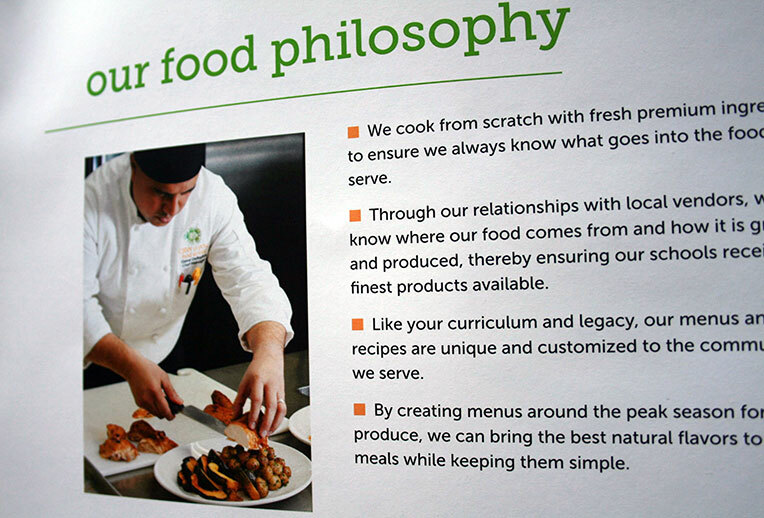 They are committed to using the freshest, healthiest products available, such as hormone and antibiotic free meats and dairy, and seasonal produce, dairy, cider and eggs purchased from a local NY/NJ/CT metro-area farms. 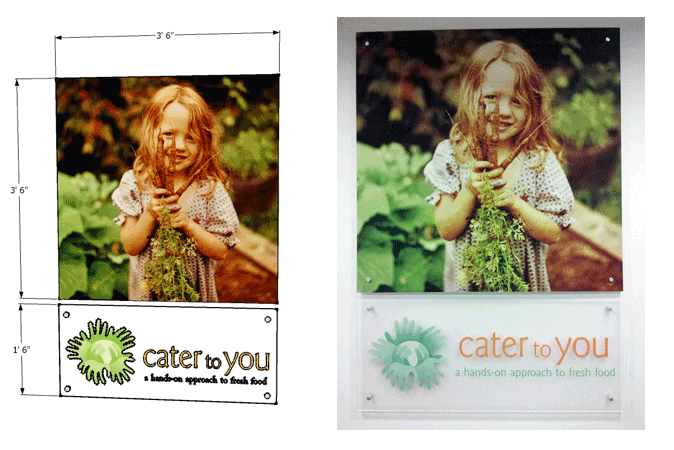 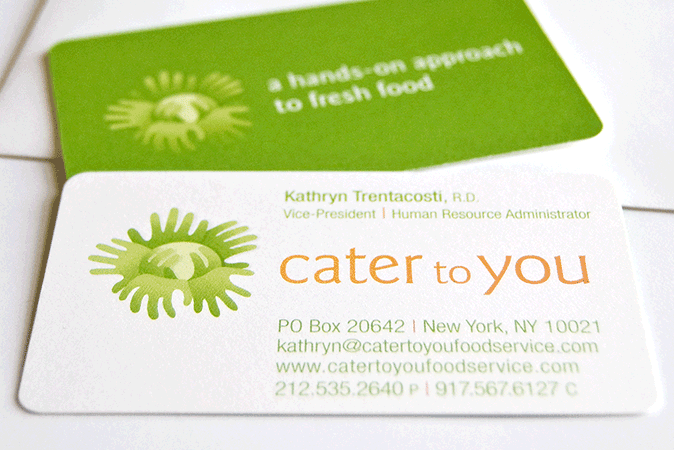 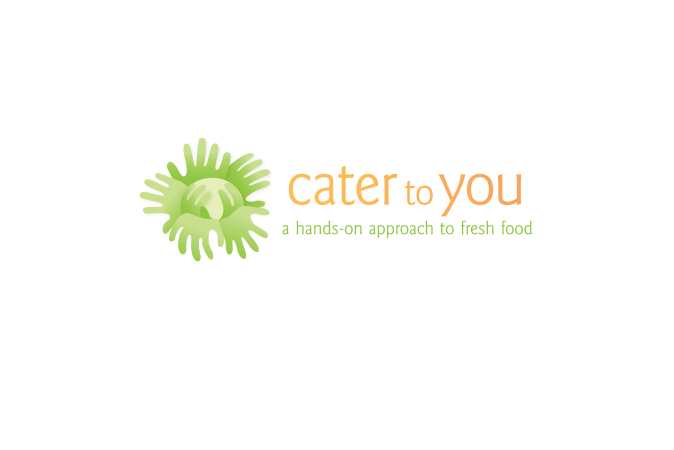 Cater to You was growing, and in need of a more professional appearance of their brand. 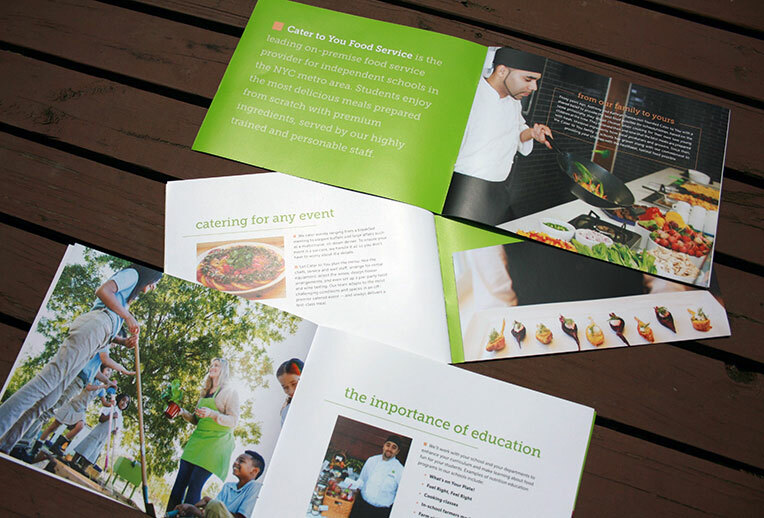 We were initially brought on board to re-design their logo, create a new tagline, and apply the new visual identity to a series of marketing pieces such as branded stationery, chefs coats, catering shirts, and office signage. 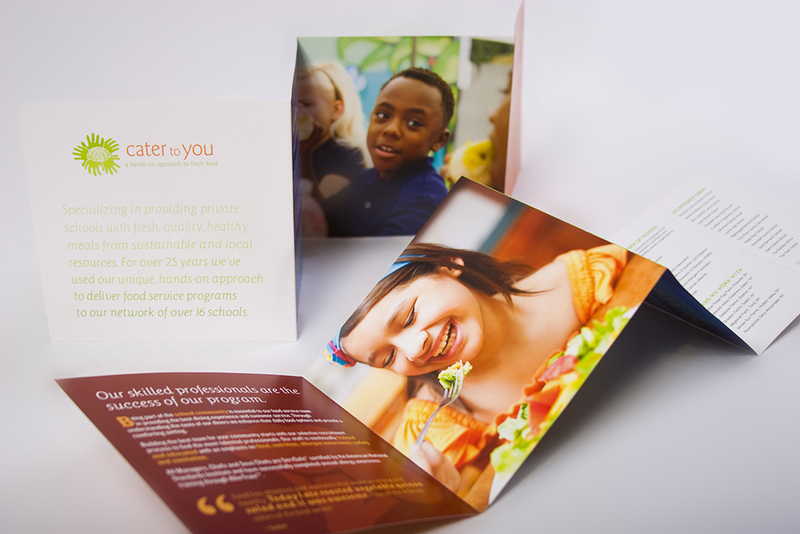 Over the years our collaborations have deepened, with Stone Soup Creative evolving to become a valued strategic partner within the company. 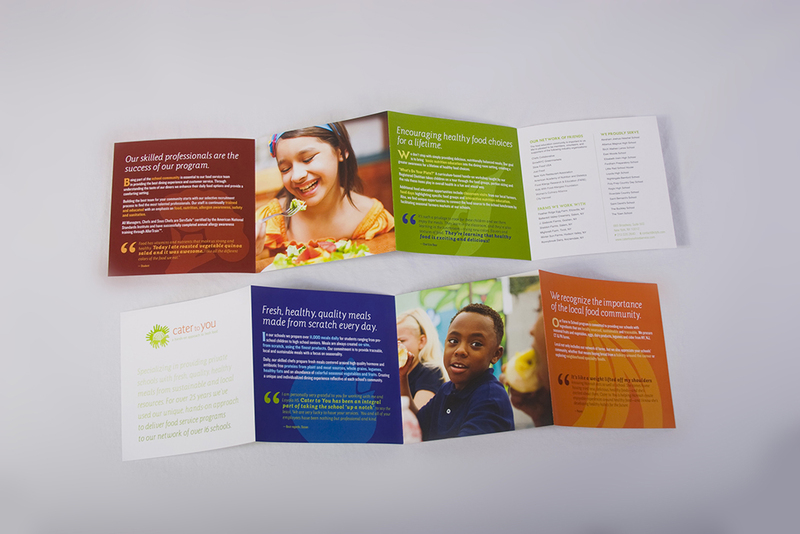 Our creative design solution for their logo took its cues from our research results. 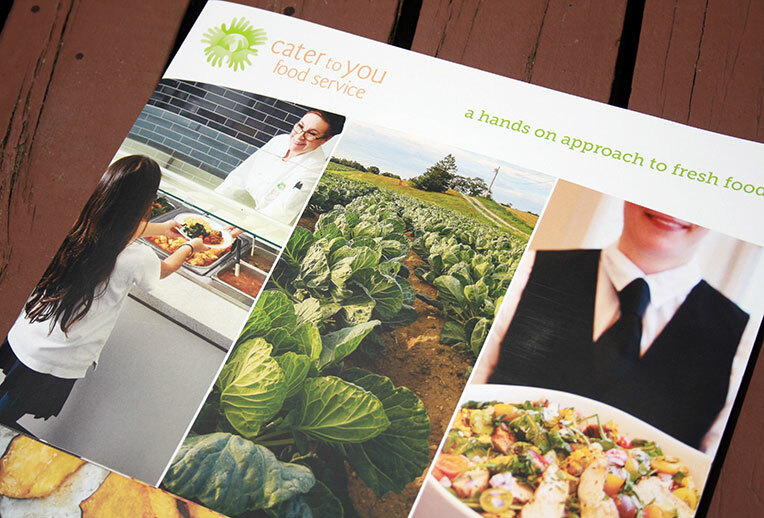 A natural green and orange color palette, organic sans serif typeface, and cabbage icon all exemplify the fresh, expertly prepared foods available from Cater to You. 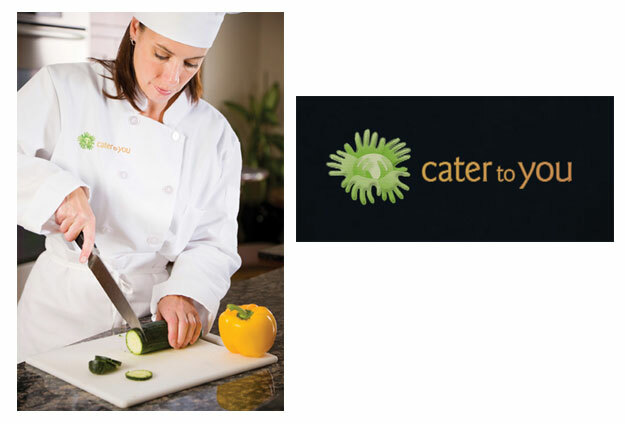 Cabbage leaf ‘hands’ refer to the people behind the business, including the growers at local farms, chefs, and students who will enjoy each healthy meal. 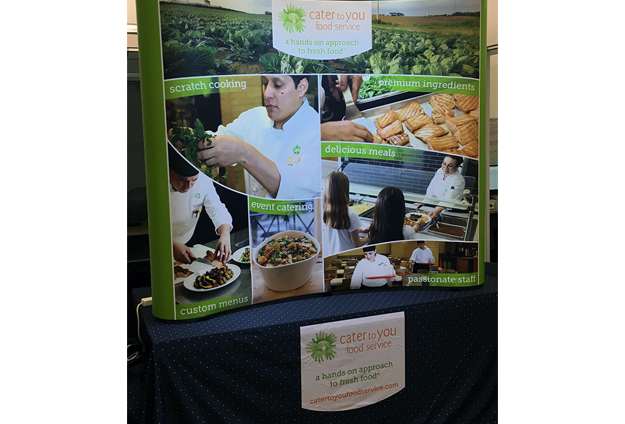 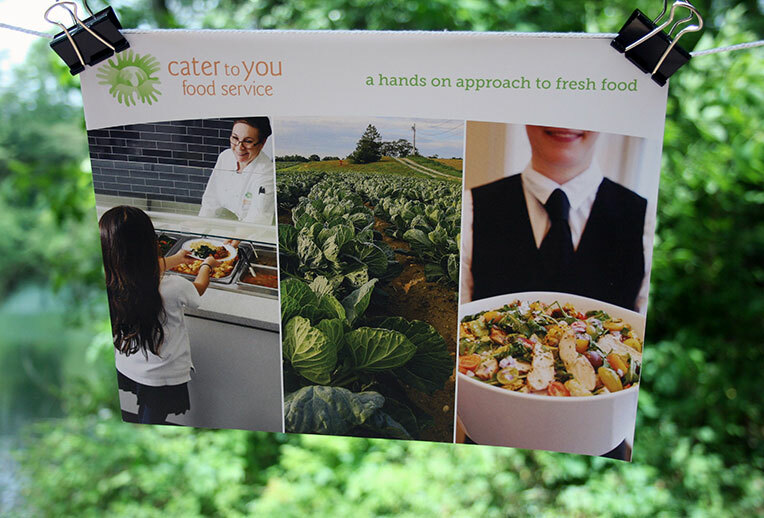 We also developed their new tagline, A Hands-on Approach to Fresh Food, which replaced the existing ‘vanilla’ version, Private School Food Service. 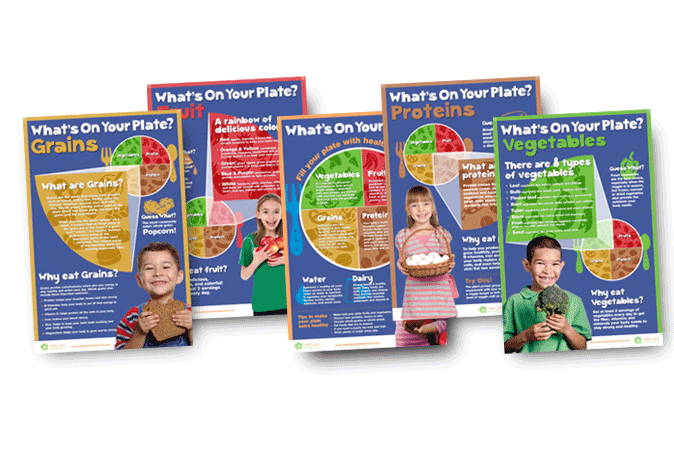 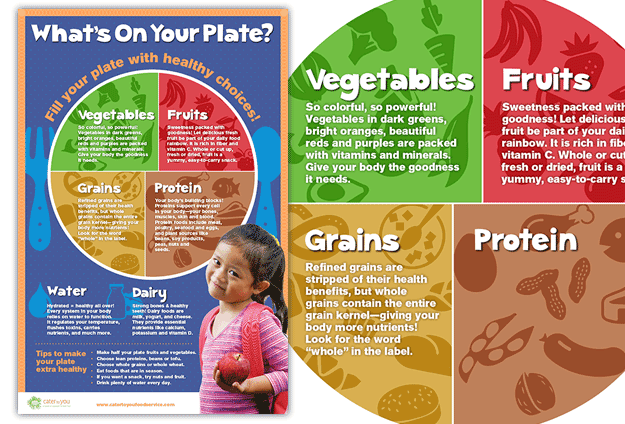 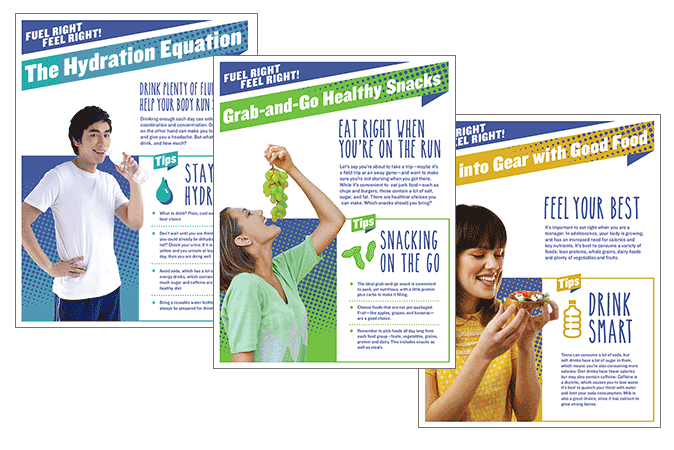 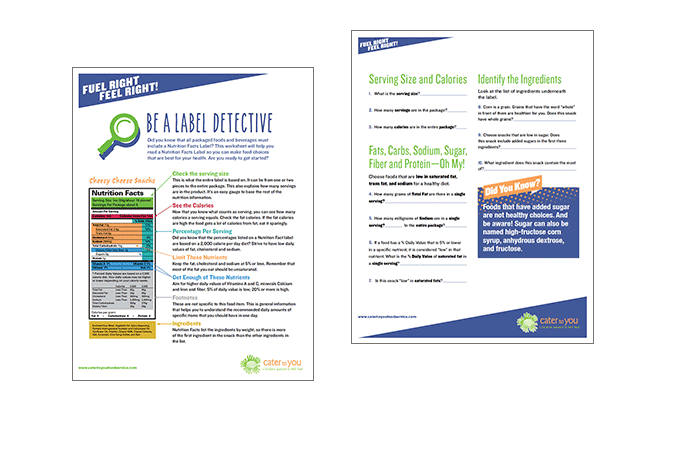 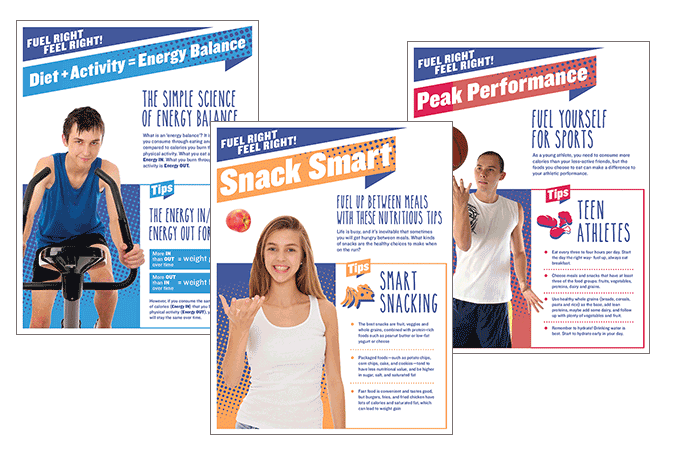 Fuel Right, Feel Right – nutrition education for older students in 6th-12th grades via a set of educational flyers and PowerPoint presentation. 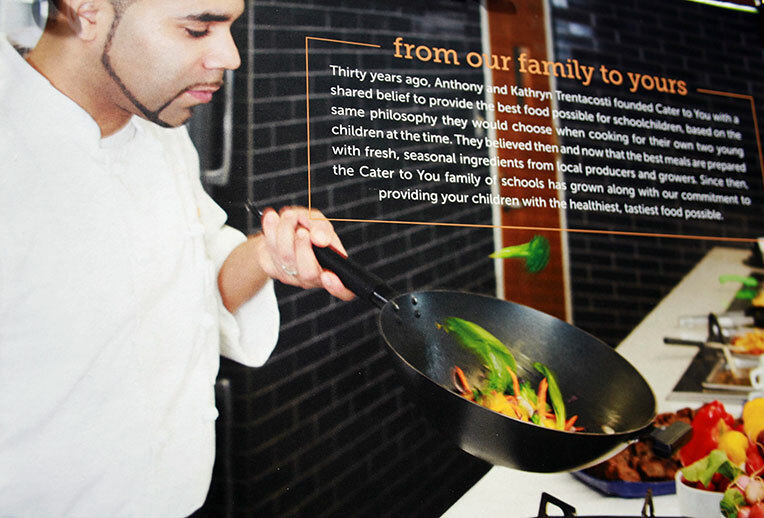 Cater to You now works with 16 private schools throughout New York City to provide over 9000 meals per day. 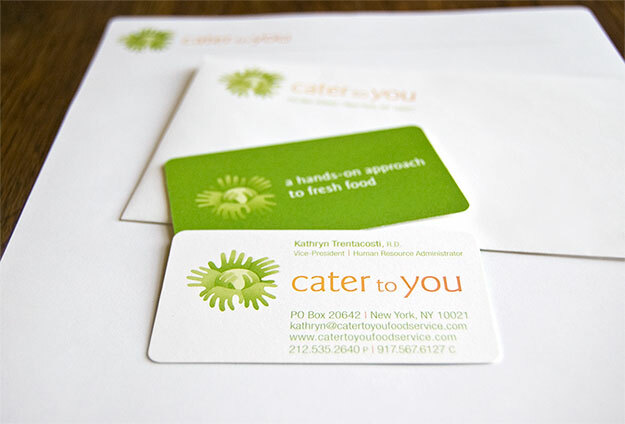 Working closely to meet our client’s needs has been a priority from the get-go. 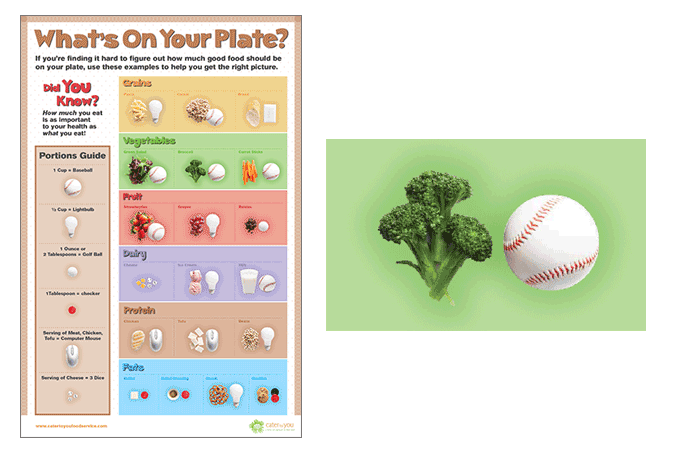 Our work has helped them integrate nutrition education information into the school cafeteria setting, thereby equipping students with skills to create a healthier future, while spreading nutrition awareness throughout their communities.